A collection of pictures taken during the wedding celebrations, the event was put on courtesy of the Arabian Horse Pub and the local PTA from the Primary School in Aberford. The above photo montage is of an A3+ poster [13" x 19" (330 x 483mm)] which is on display at the Arabian. Fine art giclée copies are available priced at £15.00 each, and £7.50 each for A4+ printed on 100% Somerset Cotton Bright White Archival Paper 300g/m². You can use the contact form on the site here for further information. 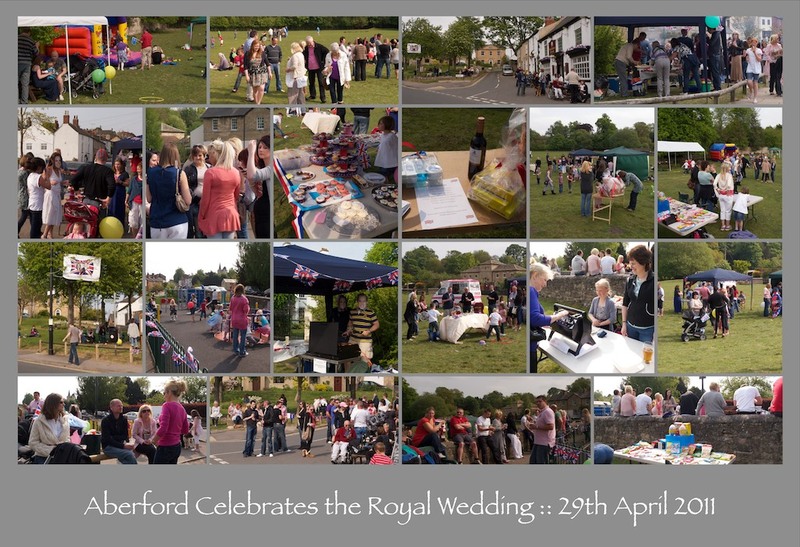 Like many villages around the Country, Aberford let its collective hair down for an afternoon of family recreation and fun, to commemorate the wedding of Prince William and his newly titled bride the Duchess of Cambridge.